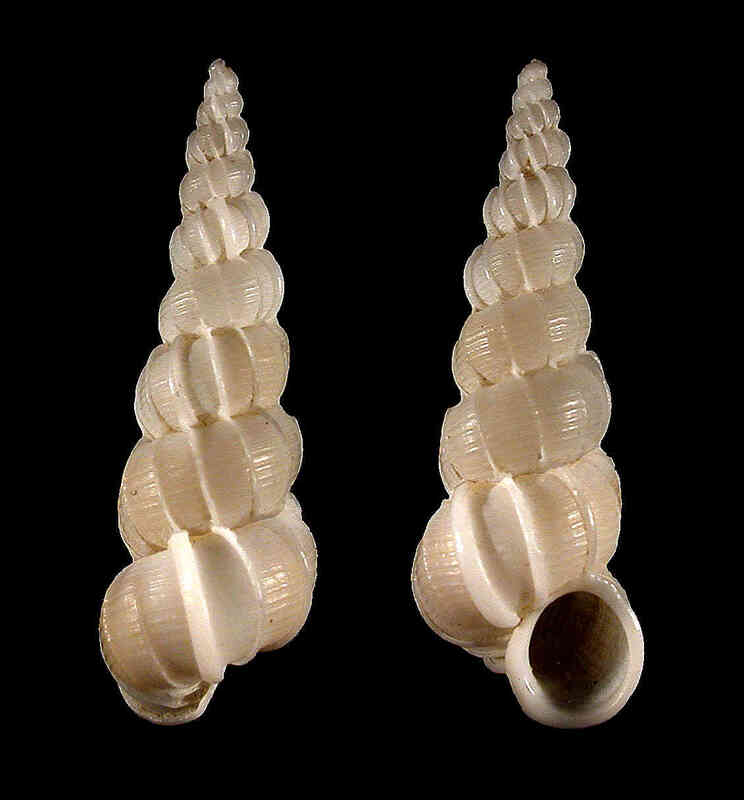 Shell size to 26 mm; shell sculpture of delicate costae, about 10 on body whorl, and background of fine spiral threads. Similar to E. candeanum (d’Orbigny, 1842), but differs from latter species by having angles or hooks on shoulders of costae, and finer spiral sculpture. Color white, sometimes with brown bands on early whorls. Until September 2010, this species was identified on this page as Epitonium cf. championi Clench & Turner, 1952. 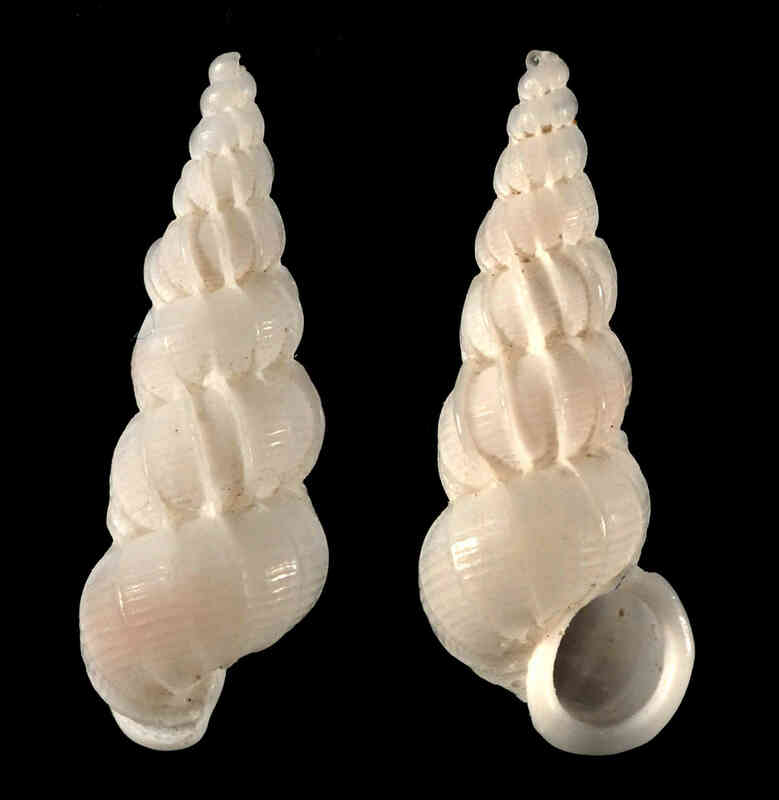 Dr. Emilio García from Lafayette, LA, named the species after Shell Museum Curator and author of this guide Dr. José H. Leal. 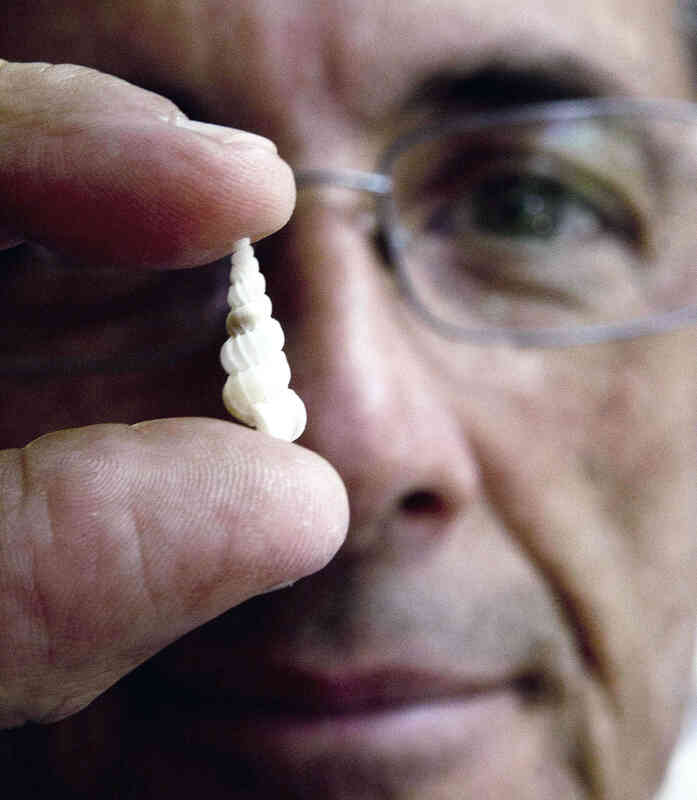 Dr. Leal is here pictured holding a shell of the species (Photo by Andrew West, Fort Myers News Press).